Hill Upholstery & Design were recently commissioned by talented interior designer Tracey from Raspberry Interior Design to reupholster one retro swivel chair and make matching wall panels for her client. 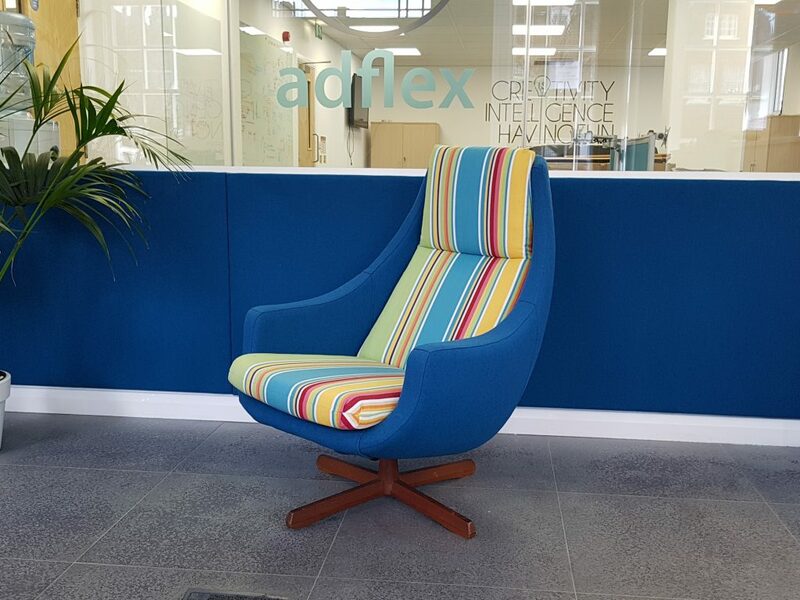 The chair and upholstered wall panel were to feature in the entrance for company Adflex based in Brentwood, Essex. With the work all complete they now have a transformed reception area which makes for a truly welcoming space to greet visitors.